Durable stretch fabric, articulated knees and elastic at the back waist all combine in the Men's Kiwi Pro Trousers to give you an unrestricted fit and unbeatable freedom of movement. 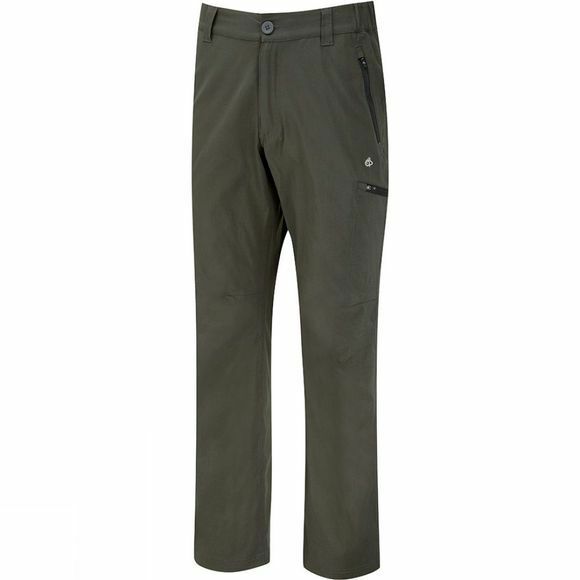 These Craghoppers lightweight trousers are designed for comfort whatever your activity, making them natural choice for active pursuits and adventuring. Built-in SolarDry sun protection is ideal for all-day outdoor pursuits and the Kiwi Pro Stretch Trousers are also easy care, ideal for travelling. All the pockets have zips so you won't lose the contents when you climb over a stile or scramble over rocks.